Audiology at Mid-Michigan, Ear, Nose, and Throat, P.C. An audiologist adjusting a hearing aid. Concerned about your hearing? Wondering about whether your hearing loss can be helped medically or surgically before you consider using a hearing instrument? A valuable part of our practice at Mid-Michigan Ear, Nose and Throat is Professional Hearing Consultants, our audiology division. Our staff of certified audiologists is among the most experienced in the area, offering diagnostic hearing testing for both medical and rehabilitative reasons. Confused about what type of hearing instrument is best for you? 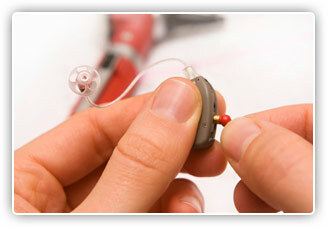 MMENT and Professional Hearing Consultants have a commitment to excellence in affordable hearing aid technology. We offer a full variety of hearing instrument brands, styles, and technologies, along with an experienced team of audiologists to help you make the best decision based on your hearing loss, individual listening needs, and pocketbook. We offer state-of-the-art hearing instruments from major manufacturers including Oticon, G.N. Resound, Starkey, Unitron, Siemens, and others. Interest-free financing for hearing aids is available. For more information, please visit our audiology website at http://www.professionalhearing.net.